What is Earth's Crust Made from? ALL MINERALS FORM IN THE EARTH'S CRUST. It should be no surprise then to learn that all minerals are made from the same elements that make up the majority of our planet's crust. If we look at the Average Chemical Composition of Earth Table seen above and on the cover of your ESRT, we can compare the abundance of these elements. The vast majority of the ground we walk on is made from Oxygen (46.10% by mass and 94.04% by volume). This seems crazy because we think of oxygen as a gas, but Oxygen bonds easily, so it is in many different compounds. Together the two most abundant elements in Earth's crust, OXYGEN AND SILICON CAN BE FOUND IN 90% OF ALL MINERALS.. Minerals that contain these two elements are called SILICATES. 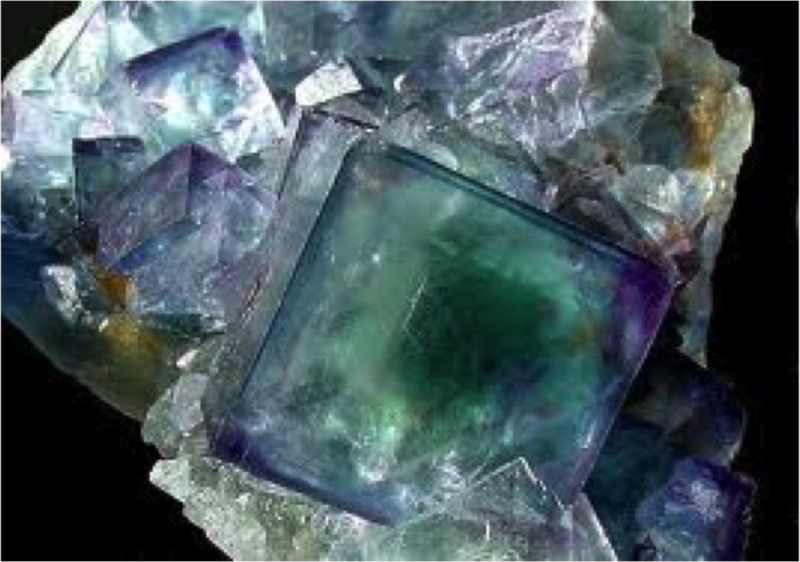 90% of all minerals contain Oxygen and Silicon, and are therefore Silicates. Lets Practice: Use the ESRT Mineral Identification Table to Identify 3 silicate minerals in NYS. Quartz - Seen to the right is an obvious silicate because it is made only from Silicon and Oxygen. Halite - NaCl is NOT a silicate because it doesn't have SI or O in it. ALL SILICATE MINERALS ARE MADE FROM A BASIC STRUCTURAL BUILDING BLOCK CALLED THE SILICA TETRAHEDRON. SURROUNDED BY 4 OXYGENS AS SHOWN TO THE RIGHT. The silica tetrahedron is important b/c it is the building block of 90% of all minerals. This arrangement of atoms is also important because it determines the physical properties of silicate minerals. Many of Earth's minerals form from Magma. MAGMA IS MELTED ROCK THAT IS UNDERGROUND. As the magma moves closer to the Earth's crust it begins to cool. As it cools the atoms inside the magma condense, moving closer together until it solidifies and forms CRYSTALS. A CRYSTAL IS A REGULAR GEOMETRIC SOLID WITH SMOOTH SURFACES. THE EXACT SHAPE OF A MINERAL'S CRYSTAL IS DETERMINED BY THE INTERNAL ARRANGEMENT OF ATOMS. CRYSTAL SIZE IS DETERMINED BY THE AMOUNT OF TIME IT TAKES THE MAGMA TO COOL. If the magma cools quickly, the crystals have less time to grow so they are smaller. Conversely, if the magma cools slowly the crystal has lots of time to grow, so they are much larger. 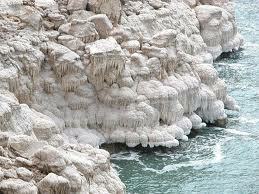 Some minerals form when water containing dissolved substances evaporates. When the water evaporates it leaves behind the substances that were dissolved inside it. Salt water contains Na and Cl. 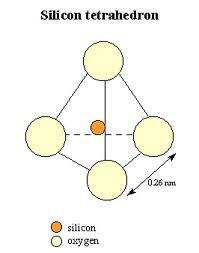 Na and Cl atoms then combine to form the mineral Halite (which we know as salt).